Have you been doing research on ZHW High Tech HK Co Ltd located in China sells Electronic Inductor? 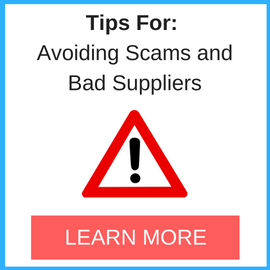 If so, read on below to read one buyers experience when trying to buy Electronic Inductor. Through Google-search I found the platform https://www.hkinventory.com/. There I got in contact with the faulty company ZHW High Tech. I inquired by email 2 different electronic inductors from a certain Japanese supplier SUMIDA and told them that it is important to have ORIGINAL SUMIDA-MADE parts only. Before shipping the 2 ordered parts I want to see pictures, as I knew that there are many Chinese clones around, which are similar but not really the same, and we cannot accept clones. They sent me pictures of one of the 2 parts and said that the second part is in an other warehouse and not accessible right now. The pictures of the first part were good, so I trusted that they understood what I need and did not insist on seeing appropriate pictures of the second part. After receiving the parts I had to understand that the first part was good, but this second part was a cloned part and not what I ordered. In a very arrogant way my contact, Petrel, from this company told me that the parts are very similar and I should test them to see that I can use them. Of course for many reasons this is not an option for us. 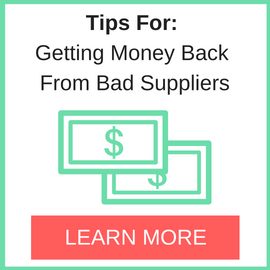 So he strictly refuses to exchange the part against what we ordered or refund the money and take them back. We cannot use these parts but did pay for them. 100% loss. Need More Info on ZHW High Tech HK Co Ltd? 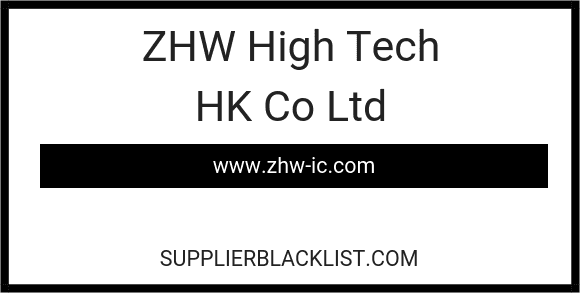 If you need more information, you can click the below links to search for more submissions about ZHW High Tech HK Co Ltd on Supplier Blacklist as well as go to the search results page on Google for more reviews online about this company.